← Scalzi’s The Human Division Audiobook to be Serialized? A pretty quiet release week, made even more so considering the deafening absence on this side of the pond that is the lack of Red Country By Joe Abercrombie, available earlier this week in the UK — narrated by the voice of Abercrombie’s First Law series no less, Steven Pacey. Will a US publisher do the right thing and back up the appropriately sized money truck(s) and bring us this next chapter in the story of Logen Ninefingers? Pretty please? 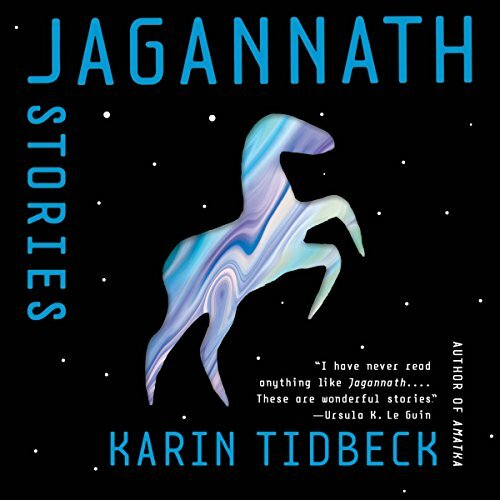 (Update: Via The Guilded Earlobe, I find that this audiobook is indeed coming to the US, due out on 11/13 from Hachette Audio concurrent with the US print release.) Still, a completely unexpected audio-only anthology and three more of Pohl’s Heechee Saga books is nothing to shake your ears at. That anthology came out Friday, Fantastic Imaginings: A Journey through 3,500 Years of Imaginative Writing, Comprising Fantasy, Horror, and Science Fiction edited by Stefan Rudnicki, with an introduction by Harlan Ellison, narrated by Stefan Rudnicki, David Burney, Scott Brick, Cassandra Campbell (and many others, including Ellison, Rosalyn Landor, Gabrielle de Cuir, Bahni Turpin, Don Leslie, Michael York, …) for Blackstone Audio. I try to stay on top of what’s coming, but this one, due out in CD format in mid-November, was a complete surprise. Rudnicki is one of my favorite narrators, a Grammy and multi-time Audie award winner for his production, direction, and narration of spoken word, and though he works across every genre I can think of, no small part of his work has been in the field of speculative fiction. Here we see him put together an audio-exclusive anthology covering 3,500 years of myth and fantasy and sf and horror, with an all-star cast of narrators, in just about 22 hours. The introduction, written and read by Harlan Ellison, is quite something. Inside we have Rudnicki’s translation from the Polish of a short play; his multi-voiced staging of another; selections of music; stories; and poems. And that’s in part one (of six), “The Myths We Live By”. Rudnicki’s aim with the anthology seems to be to demonstrate the power and primacy of fantastic and mythic fiction, and to trace the roots of and follow the permutations of various subgenres, drawn from the stories which inspired him and which became his favorites over his many years teaching in the fields of theatre history, drama, acting, directing, etc. While I don’t think this anthology achieves that indeed rarified aim in total (though what non-encyclopedic tome could? 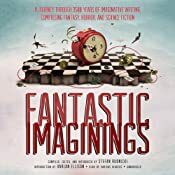 ), what it does at certainly give me, in addition to simply an impressively produced and collected anthology, is something I am more than interested enough in: Rudnicki’s own germline in the fantastic. I have a keen interest in the voices which bring me the stories I love, and Rudnicki’s has been a huge part of my development as a listener, and his prodigies and co-conspirators in that pursuit also carry his influence. While some too-meta and obscure choices (Crowley’s “Novelty” for example) and double-dipping into the same mythological pool (Pan gets multiple feature-length treatments) crowd out a potentially more diverse set of selections (there are no writings from South American, African (other than a very brief examination of Hatshepsut), or Asian traditions, and very few from female writers) their power as stories cannot be denied, from Robert Silverberg’s “After the Myths Went Home”, a quite good choice to begin the anthology (after Ellison’s introduction and a short Stephen Crane poem), through selections from Arthur Rimbaud, Nikolai Gogol, Fritz Leiber, Clark Ashton Smith, W.E.B. DuBois, Ursula K. LeGuin, Ambrose Bierce, Lewis Shiner, R.A. Lafferty, Guy de Maupassant, on and on. I’m very much looking forward to continuing my listen of this anthology, following Rudnicki’s sources and seeing how well he can tie these more than 50 stories (and plays, and poems) into a coherent presentation and multi-disciplinary argument. 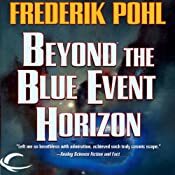 Also out Friday was Beyond the Blue Event Horizon By Frederik Pohl, Narrated by Oliver Wyman for Audible Frontiers, continuing Pohl’s The Heechee Saga, which begins with Gateway. Books 3 and 4 also appeared this week: Heechee Rendezvous, and The Annals of the Heechee. Wyman’s narration on Gateway was magnificent, and I hope to peek into the continuing story of Robinette Broadhead quite soon. Cemetery Plot by Alex Granados (Crushing Hearts and Black Butterfly Publishing, Oct 31) — “The apocalypse isn’t all it’s cracked up to be”. This entry was posted in regular, Release Week and tagged fantastic imaginings, frederik pohl, harlan ellison, heechee, oliver wyman, release week, stefan rudnicki. Bookmark the permalink.